Google drive is really awesome cloud storage provider because you can host static websites on it too. Recently they merged storage of all services and now they are providing 15 GB of storage for free that you can use with any service provided by Google (Gmail, Google+ photos and Google drive etc). For more information regarding to this topic please visit 15 GB of free storage by Google Drive. SkyDrive by Microsoft is really doing well too. 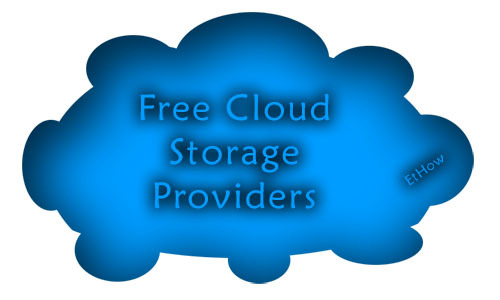 It is providing free 7GB of storage and options for getting extra free storage. If you haven't signed up for it then go and get 7 GB for free. If you are student and from US then you can get additional 3 GB storage for free valid for one year. Also if you are iCloud user and you got downgrade email from iCloud then you can get free 15GB extra from skydrive. So you can get free 25GB from skydrive without spending anything. Dropbox is really popular all around the world. With dropbox you can get free 2GB of cloud storage which you can expand to 18 GB by referring your friends. More information Free storage by Dropbox. Bitcasa infinite drive gives you infinite storage with its paid plan but you can also get 10GB for free. They have even better security and encryption than Google Drive. So, I think you should sign up for this. More information Free 10 GB by Bitcasa Infinite Drive. You can expand this storage by referring your friends to Dropbox. You can also get additional free storage for SkyDrive. I think this is really cool to get 34GB for free without paying anything to anyone. If you want to make backup of your photos then Flickr is best for you because they'll give you 1 TB for free.